I’m a woman. But there are several great Catholic men’s events coming up in Madison, and we all benefit when men go to faithful Catholic things like these. Wow. What an AMAZING retreat, right at the Bishop O’Connor Center. Men, you do NOT want to miss out on this. Join other men from the Diocese of Madison and elsewhere in this special Year of Faith Lenten retreat. We will be gathering once again to renew and deepen our understanding of Jesus Christ and His teaching through the sacramental voice of His Church, be renewed and strengthened through prayer and the grace of His sacraments, and as a result of this intensified communion of love and friendship with His Divine Majesty, advance his Kingship in our souls and our lay mission, firm in our faith. Fr. John Zuhlsdorf (“Fr. Z”): Probably best known for his popular and award winning blog “What Does The Prayer Really Say?,” Fr. Zuhlsdorf is a longtime columnist in multiple publications, and a former collaborator with the Holy See’s Pontifical Commission “Ecclesia Dei.” A convert from Lutheranism in his early 20’s, Fr. Z, studied theology at the Pontifical Lateran University, and Patristic Theology at the “Augustinianum”–both in Rome–and was ordained in St. Peter’s Basilica by Bl. John Paul II in 1991. He has also appeared on television, including EWTN & the Fox News Channel. Mr. Raymond de Souza: Mr. de Souza describes himself as “Brazilian by birth, Catholic by grace, and Australian by choice.” As an internationally renowned speaker, he has given over 3,000 talks on issues of apologetics and Catholic social teaching in countries on five continents. He has hosted three popular television series on EWTN and is currently the Director of Evangelization/Apologetics for the Diocese of Winona, MN. In his apostolate, Raymond is greatly helped by his devoted wife, Theresa. They have been blessed with eight children. Please do NOT let financial considerations prevent you from attending. Just let us know what you can or cannot afford. Jon is a married dad from Des Moines, and is a Catholic speaker, author and radio host (his website). Join the men of St. Maria Goretti Parish on Monday, February 11 from 6:30 – 8:00 pm as guest speaker Jon Leonetti leads a powerful evening of Lenten reflection bringing Catholic insight, prayer and humor, as we seek to live our Catholic faith with renewed passion and unwavering hope in the person of Jesus Christ. The evening will also include adoration, benediction, prayer, reconciliation. Contact Meg with questions. My opinion as a woman is that KDM, though it is for men and not for me, is one of the greatest things since sliced bread, and the men who are part of this group are wonderful. There’s also now a Squires of Divine Mercy boys’ group! It’s something dads and their sons can both be a part of. Like them on Facebook. They have a great February speaker lined up, but has not been confirmed yet so I will put it when I hear officially. I know a few people associated with Opus Dei and they are great human beings and great Catholics. Their spirituality is divine filiation, sanctification through work, and being contemplatives in the world. I don’t think you have to join to go to these evenings, they are for all interested men. On a separate day there is one for women, but I’ve not been to it. 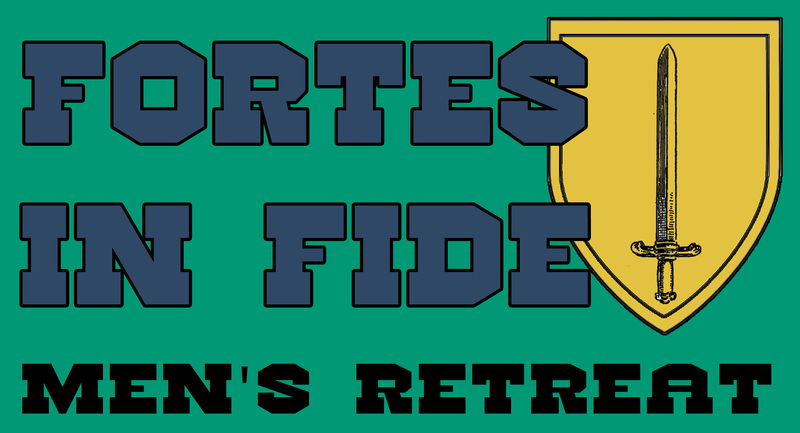 Join other men from around the diocese for these monthly two-hour silent retreats aimed at helping people sanctify their ordinary life in and through their work, family, and recreational activities. Two meditations by a priest and a talk by a lay person are combined with time for silent conversation with our Lord about the inspirations received from the Holy Spirit. There is also the opportunity for the Sacrament of Confession. The evening closes with Benediction. The Evenings of Recollection are under the spiritual guidance of the Prelature of Opus Dei. All evenings are held at St. Thomas Aquinas Parish. For Men, 1st Tuesday of the month beginning at 6:15pm, contact Juan Landa at 608-849-4359 or [email protected] for more information. There is also one for Women, 4th Tuesday of each month beginning at 7pm, contact Erin Landa at 608-849-4359 for more information.